Gerardo Morese has been appointed as head chef of the Wycliffe Hotel (Stockport) after a thirteen year career at the Alma Lodge Hotel (Stockport) – also under the supervision of the Tavini family. Before joining the Alma Lodge Hotel in 2001 Gerardo was head chef at the Wycliffe Hotel and Restaurant for nine years. Gerardo started his working life in Ventimiglia in the Liguria region of in Italy, where he grew up. 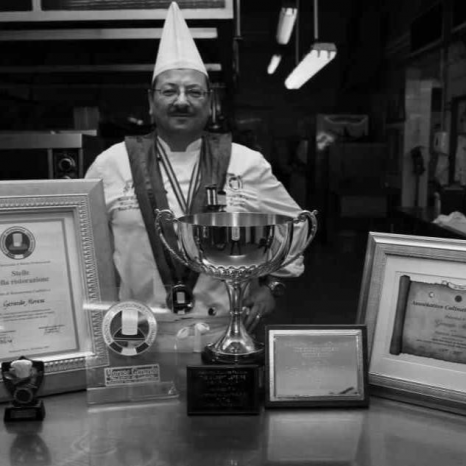 Gerardo then started work at the Mirabeau Hotel, Monte Carlo, before coming to England to live and work – he has since been a dedicated ACF (Association Culinaire Francaise) member for some 25 years.